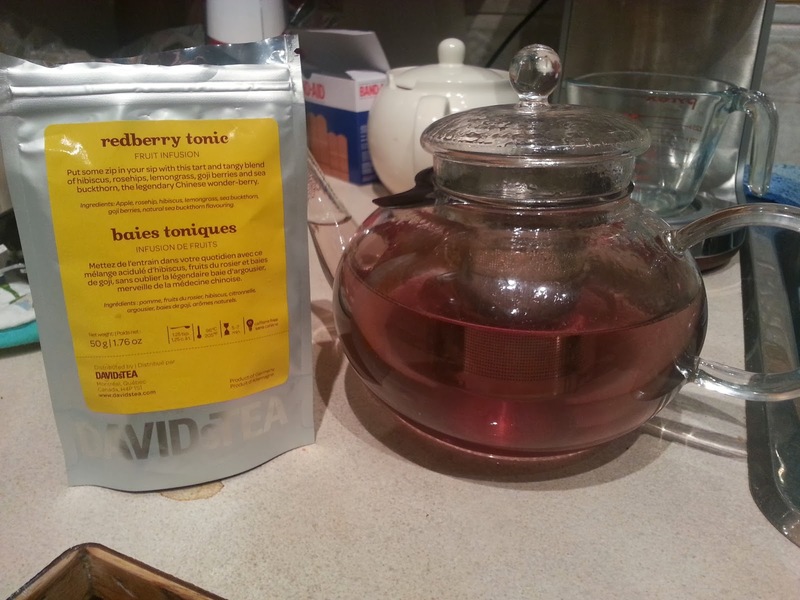 Onto Redberry Tonic by, you guessed it, DavidsTea! I started with one regular scoop using David's Perfect Spoon. Set my kettle to the "herbal tea" setting (200F). Then steeped it for about 4ish minutes. Let it rest for...uhhh...a few minutes? I think? Generally this tea doesn't have much of a scent when dry. Once brewed, it smells light and fruity. Kinda yummy. It's a pretty pinkish-purple color, which is always nice to see. Some days more pink, some days more purple. This batch was much more purple than another time. It is good for you, though. That's always a bonus. 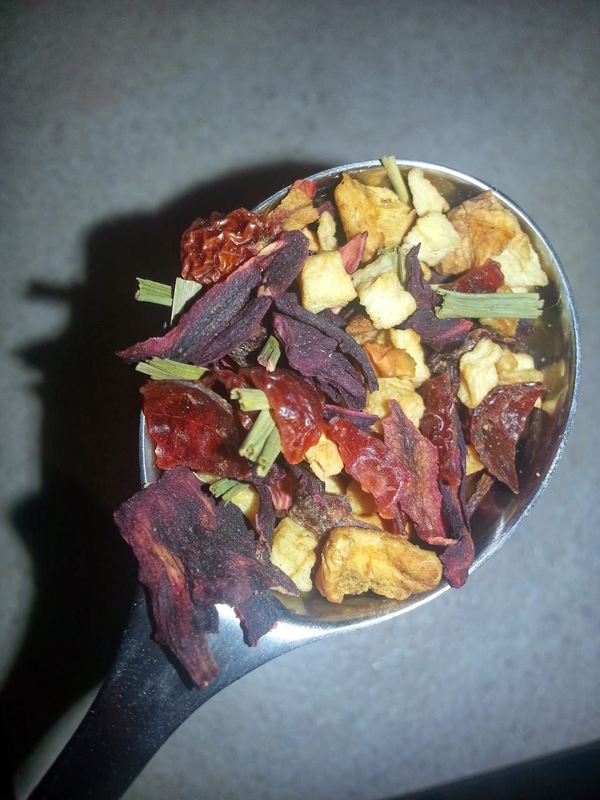 The sea buckthorn berries, and goji berries, are the two biggest hitters (although sea buckthorn would probably have more benefits when eaten, as opposed brewed as a tea). So, in the end it is good, and good for you, but too bland for me. You may like it, you may not.